A state of emergency has been declared around Charlottesville, Virginia, amid clashes between “Unite the Right” white nationalist demonstrators and “counterprotesters,” including the presence of Antifa. Gov. Terry McAullife declared a state of emergency shortly before 11 a.m. 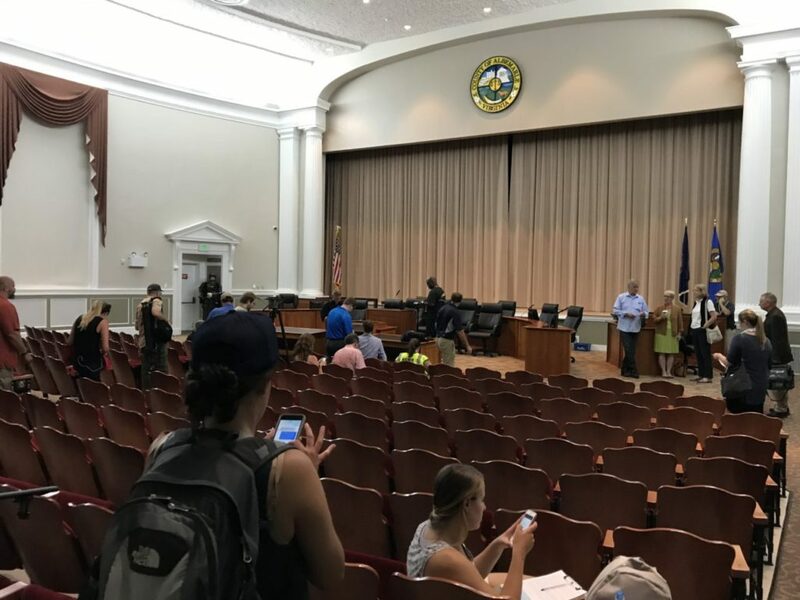 ET, moments before the rally was scheduled to begin at noon at Emancipation Park in Charlottesville, according to a tweet sent from the Democratic governor’s Twitter account. Using megaphones, police declared an unlawful assembly at about 11:40 a.m., and gave a five-minute warning to leave Emancipation Park, where hundreds of neoNazis, Ku Klux Klans members and other white nationalists had gathered to protest the removal of a Confederate statue. 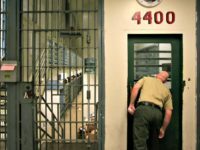 They were met by equal numbers of “counterprotesters,” including Black Lives Matter activists and Princeton professor Cornel West. Both the city of Charlottesville and the Albemarle County have declared a local state of emergency, the Richmond Times-Dispatch reported. Samantha Bloom, of Ohio, confirmed details about her son’s car and his trip to Virginia, saying she received a text from him last week that said he’d gotten some time off from work and was going to a rally. She said her son hadn’t given her any details about the rally but that she told him “to be careful” and to peaceful. People are asking why VA suspect not charged with terrorism. Easily answered. This is not a federal prosecution at this point. Tonight and tomorrow, Indivisible groups, along with our friends at Women’s March, Democracy for America, Working Families Party, Resist Here, Progressive Change Campaign Committee, Mi Familia Vota, OurRevolution, Million Hoodies Movement for Justice, People’s Action, Courage Campaign, Greenpeace, #AllOfUs, #Resist, 350.org, OFA, United We Dream, Win Without War and others will come together in solidarity with our brave friends in Charlottesville who put themselves at risk to fight against white supremacy. Attend an event in your community to show that you’re standing with Charlottesville. 9:10: Never a bad time for these people to talk about… gun control. 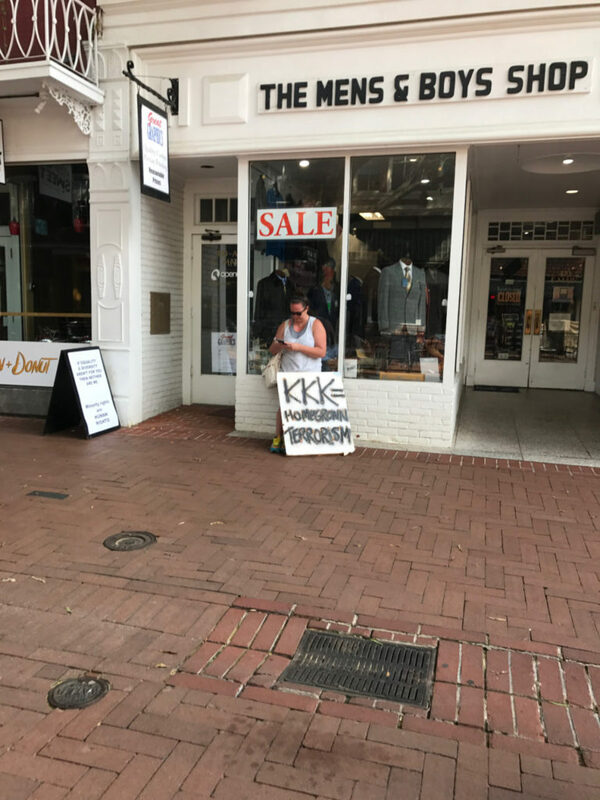 "I condemn White Supremacy, but vote for Trump's agenda" is the new "I send thoughts and prayers to the victim, but vote against gun safety"
"People must learn to hate, and if they can learn to hate, they can be taught to love…"
8:35: Breitbart News reporters on the ground report that pretty much the entire downtown mall and “corner” area are closed for business tonight. Being held without bail on murder, other charges in Charlottesville hit-and-run: James Alex Fields, Jr., 20, of Maumee, Ohio. I repeat: Those who said HRC would be worse should hang their heads in shame. 7:30: On MSNBC, Rob Reiner calls out Jared Kushner for not condemning the white supremacists. Deepest condolences to the families & fellow officers of the VA State Police who died today. You're all among the best this nation produces. Condolences to the family of the young woman killed today, and best regards to all of those injured, in Charlottesville, Virginia. So sad! 6:58: Watch Breitbart’s Raheem Kassam question Gov. McAuliffe about Antifa. Gov. 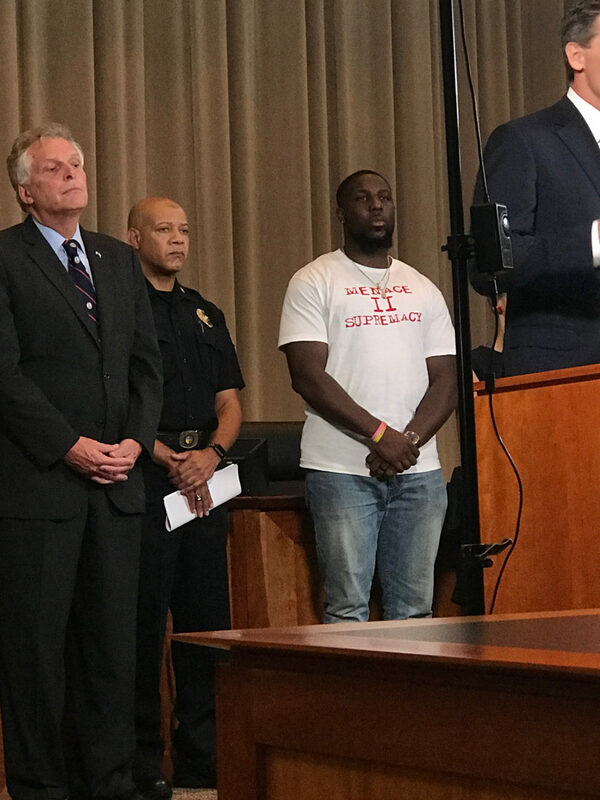 Terry McAuliffe: I have a message to all the white supremacists and the Nazis who came into Charlottesville: "Go home… Shame on you"
Police won't say who owns aircraft. Only two people on board. Both died in crash. Helicopter burned after hitting ground. BREAKING: On scene here, I'm being told a state police helicopter has crashed in the woods near Old Farm Road. 4:57: Are the legacy media folks tweeting from New York and D.C. there like this reporter on the ground? Members of Congress can't just condemn this with words, they need to force the Jusice Department to investigate and prosecute terrorism. 4:32: Why is Jeb! tweeting so late on this? 4:29: How many consultants did it take to craft this for her? First Russia, now the media will try to create some sort of fake relationship between Trump and the White Supremacists. 4:10: Makes you wonder about how legacy media are covering along with their typical band of “Never Trump” useful idiots who seek head-pat after head-pat. Dark symbiosis between the press (me included) and Spencer's tiny fringe, which needs attention like oxygen. People chanting "Love has already won" in #Charlottesville. Sorry but no, ya'll hate just as much as the other side. NBC News: UVA hospital says 19 people have been injured and confirms 1 person has died as a result of car incident in Charlottesville. Reason #953 media is loathed. Question to Trump:"Do you want the support of these white nationalists groups that they say they support you?" Folks, the president is bad. Like, zero redeeming qualities bad. This is the same president who devoted so much time to lancing any political leader who wouldn't use the phrase "radical Islamic terror."
. @ananavarro: Donald Trump, call a spade a spade. Call white supremacists, white supremacists. Trump's refusal to condemn Nazis chanting his name shows how far flattery goes w/ him. In America you can be monsters if you praise Trump. 3:45: Interesting immediate commentary from Chuck Todd. Why does he think Trump’s statement may have “done the opposite … ? 3:38 PM: President Trump condemns the “egregious” acts of hate and violence on all sides and calls for a “swift” restoration of law and order. Trump says we are all Americans first and we love our God, country, our flag, and who we are. Trump says we need to get this situation “straightened out” and need to “study it” to see what is going wrong. TRUMP: “We must remember this truth, no matter our color, creed, religion or political party, we are all Americans first"
"Not Donald Trump, not Barack Obama…" @realDonaldTrump says this hatred and bigotry has gone on too long. President Trump says he is closely following "terrible events" in Charlottesville; condemns bigotry "on many sides." This Administration has *at least* three senior White House officials who are cheering for the Nazis in #charlottesville. Without logos or signs, I can't reliably tell the Nazis from the anti-Nazis in the TV shots.
.@realdonaldtrump, your silence speaks volumes. #Charlottesville. President Trump’s silence as #Charlottesville roils with racist and fascist provocation is shameful, irresponsible…and, DEFINING. Men in combat gear, some wearing bicycle and motorcycle helmets and carrying clubs and sticks and makeshift shields fought each other in the downtown streets, with little apparent police interference. Both sides sprayed each other with chemical irritants and plastic bottles were hurled through the air. 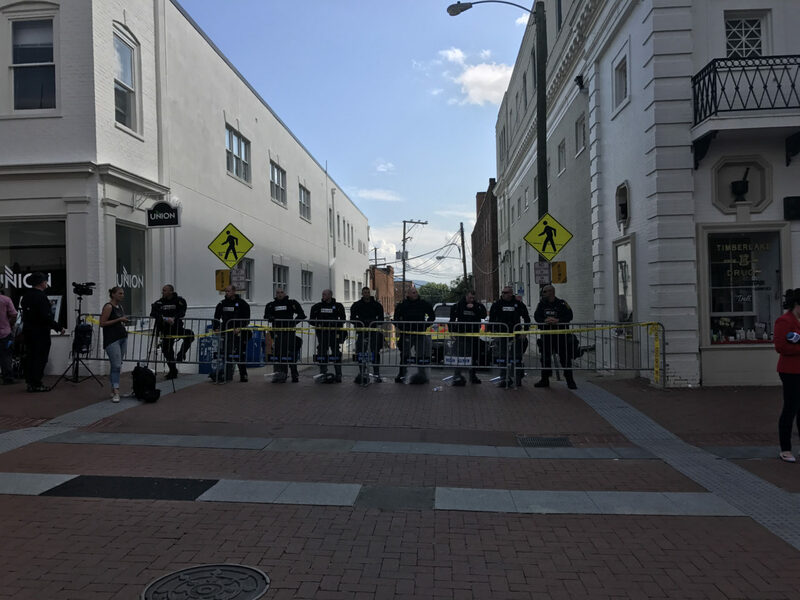 A large contingent of Charlottesville and Virginia state police in riot gear were stationed on side streets and at nearby barricades but did nothing to break up the melee. A group of three dozen self-described “militia” – men who were wearing full camouflage and were armed with long guns – said they were there to help keep the peace, but they also did not break up the fights.